The recession that sparked in early 2008 is still having effects in today's economy; but the once distraught housing market is making a slow but sure rebound - and here's a little evidence. The number of August defaults was 48,187; and for the last seven months PMI defaults have been under 50,000. This number is comparable to the number of defaults in August 2006 (before the housing crisis), which was 44,918. This recent activity may indicate that the housing market is rebounding. 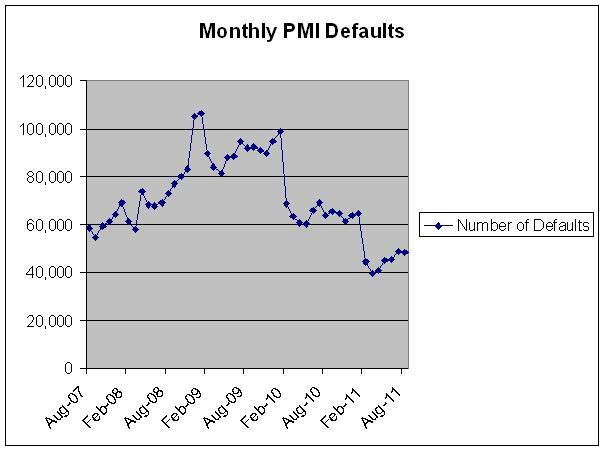 PMI defaults rose above 100,000 for two months (December 2008 and January 2009). Typically the number of PMI defaults falls around the low 40,000’s. Obviously the entire housing market can’t be summed up into a five digit number; but, nevertheless, the number of defaulted loans doesn’t lie. Green pastures are on the horizon. Luckily for loan officers that have weathered this storm, MarksmanLMP automatically determines PMI guideline eligibility for every loan scenario and supports all major PMI companies, such as MGIC, MGIC Credit Union, Genworth, Genworth Credit Union, United Guaranty, Essent, CMG Credit Union, Radian Credit Union and Radian Platinum.